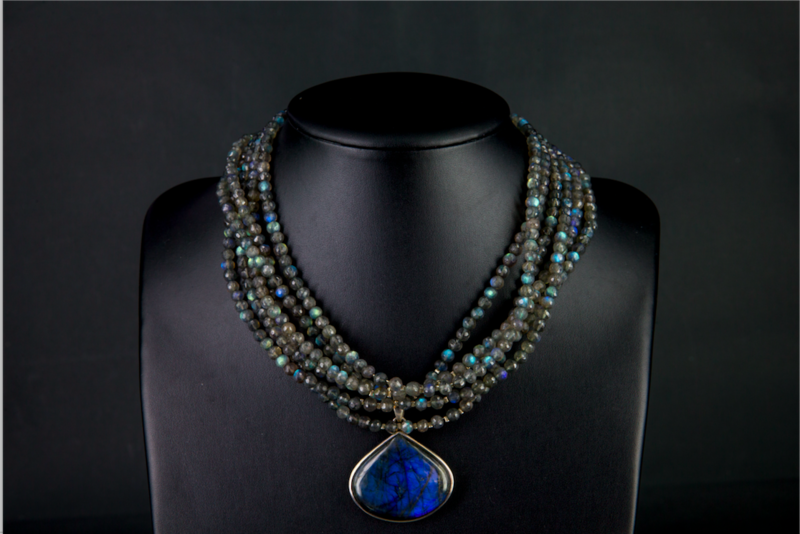 View cart “Six strand labradorite, pendant and clasp” has been added to your cart. 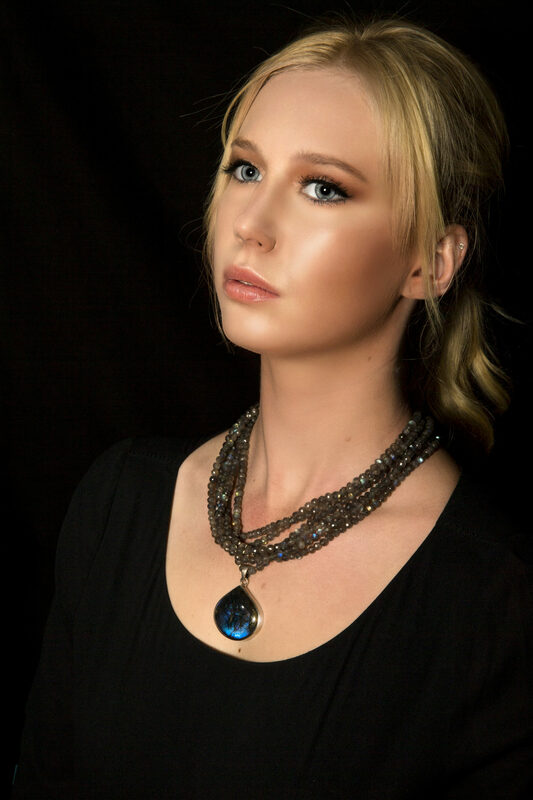 A 6 strand beautiful necklace of faceted labradorite beads from which hangs a fabulous, shimmery pear shaped pendant (of blue & dark grey labradorite with thin back lines) which is set in sterling silver bezel and matching labradorite set clasp. This necklace could be worn with evening wear, business suit – even casuals or denims.